Seneca dedicated three of his most important works - the letters, "Natural questions" and "On Providence" - to Lucilius, a young man eager to get a carrier in politics. The letters give a very comprehensive analysis of the human mind, "Natural questions" attempts to explain the natural world in which we live and "On providence" gives further arguments for seeing the world as an ordered whole. Most people only read the letters but the three works are clearly conceived as one package designed to make the reader give up whatever he or she has of base goals and strive to become a true stoic. Seneca wants Lucilius to retire from his futile and self-destructive attempts to serve Rome in traditional politics and instead dedicate himself to serve the Cosmic City in which all human beings are citizens by striving to become wise and by helping others to reach that goal. And to become wise we need to understand both human beings and their place in the universe. Just from the idea of retirement it is obvious that Seneca's project is heavily indebted to Epicurean thought and, in fact, a hundred years before Seneca wrote his works for Lucilius, the Roman Epicurean Lucretius conceived a strikingly similar project - a huge work dedicated to the politician Emmius and urging him to retire from the futile mess of traditional Roman politics and dedicate himself to philosophy, although this time it was epicurean philosophy. 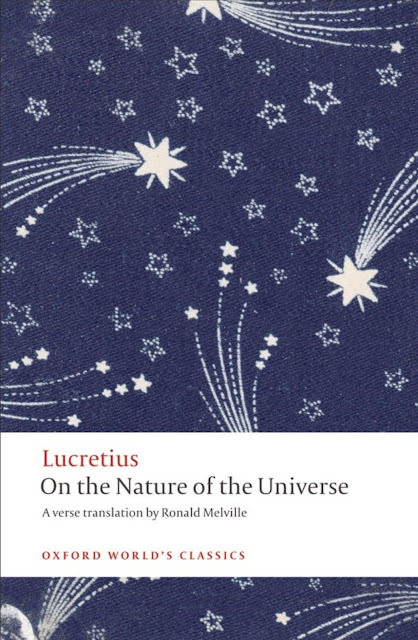 A study of Lucretius' work can serve as an extremely fascinating and enlightening perspective on Seneca's Lucilius-project or as a crash course in Epicurean philosophy. Either way, it's highly recommended - and the (very inexpensive) edition I link to here contains both a very good translation into English and a superb introduction. Thank you for this!!!! Just what I've been looking for! !